Which smoke alarm should you buy - ionisation, optical or heat alarm? Find out how to choose the best smoke alarm for your home. Good smoke detectors warn you early when there's a real fire and give you time to escape, but shouldn't go off every time you singe the fish fingers. As our smoke alarm buying video above explains, there are three types of alarm - including two varieties of smoke alarms, and a heat alarm. Read on for more information about the different types of alarm and how to decide which is best for your home. 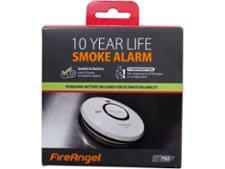 Use our smoke alarm reviews to discover the models that passed stringent Which? tests. How much do you need to spend to buy a good smoke alarm? Our tests of smoke alarms show that you don't have to spend a fortune to get great value. You can buy an excellent Best Buy smoke alarm for under £20 and we've seen alarms that have failed our tests that cost much, much more. Buying a pricier model may mean you're getting extra features - such as a 10-year battery, an emergency light or even smoke alarms that link wirelessly to each other. 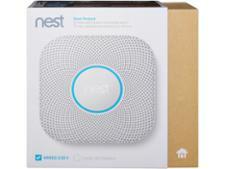 We've tested best-selling models from brands including Nest Protect, FireAngel and Kidde smoke alarms. What's the best type of smoke alarm for my home? Ionisation alarms ionise the air between two electrodes. These are positively and negatively charged, creating a small current inside the chamber. Smoke particles change the balance of the current. When this happens a signal is sent to the integrated circuit and the alarm sounds. These alarms are more sensitive to smaller particles of smoke produced by the flaming stage of fires than optical alarms, and more easily triggered by cooking – causing false alarms. Optical (or photoelectric) alarms are light sensors. They contain an infra-red LED which, every few seconds, pulses a beam of light into the sensor chamber to check for smoke particles. As smoke enters, the infrared light is scattered onto the photodiode light receptor, triggering an alarm. They detect the larger smoke particles from slower smouldering fires. Cons: Not so good for dusty areas, such as lofts, or steamy areas such as bathroom landings. What are smart smoke alarms? Smart smoke alarms are designed to sound the alarm when they detect smoke, as a conventional smoke alarm would. But the unique selling point of a smart smoke alarm is the ability to send alerts to your phone when there’s a fire. This could be critical if you’re out when there’s a fire. All of the smart smoke alarms we've tested are optical models. Some smart smoke alarms are much better than others at letting you know when there’s smoke around, both in terms of how quickly they detect smoke and the methods they use to let you know. Some smart models sound an alarm on your smartphone and through the alarm itself when triggered – this is the most helpful kind of smart alarm. Others will sound the alarm through the alarm unit itself, but then send texts or emails to your phone, rather than sounding an alarm on your phone. So if you’re out of your home and not near your phone when the messages come through, you’ll have no way of knowing the alarm was sounding. Pros: The best smart smoke alarms will trigger quickly and will sound the alarm on your phone, as well as through the alarm itself. They will have easy-to-use apps and be straight forward to set up, maintain and use. Cons: The worst smart alarm we’ve seen isn’t really smart at all – it will send emails and texts to your phone when there’s smoke around, but it doesn’t sound the alarm through your phone. In one of our tests it was slow to sound and in others, one sample tested failed to detect any smoke at all. 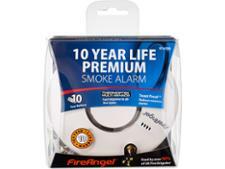 Find the best smart smoke alarm for your home with our smoke alarm reviews. An interesting by-product of the new breed of smart alarms is the fire-related data being collected, as is the case with Google, which makes the Nest Protect smoke and CO alarm. Google told us that it uses data from its alarms to provide ‘meaningful insights’ for its customers and to improve the product. For example, Google said it developed a Steam Check feature, which ensures the alarm knows the difference between steam and smoke. This feature was developed from a combination of conventional lab testing and real data from the home. UK smoke alarms are mostly likely to sound on pancake day, according to Google. On a lighter note, Google’s data also revealed that the day when smoke alarms are most likely to sound in the UK is pancake day. What are the other types of safety alarm available for the home? Heat (thermal) alarms detect heat (hot air) instead of smoke. The alarm is triggered when the temperature within the sensor chamber reaches over 58 degrees Celsius – generally when a fire is well established. What battery should I put in my smoke alarm? If you buy a battery-powered smoke alarm (rather than a mains-powered one), you'll need to decide whether you want one with a replaceable 9-volt battery, or a 'long-life' or 10-year battery. The latter are pricier when you buy for the first time, but you won't have to factor in the expense of replacement battery costs. You should replace a 9-volt battery in your smoke alarm whenever you need to, or at least annually. Now find the perfect smoke alarm for you by checking out our round-up of the best smoke alarms. What additional features do smoke alarms have? • Mains-powered alarms offer peace of mind, as they don't need batteries. They do need to be installed by a qualified electrician. • Inter-connectability – when one alarm goes off, all the connected detectors are activated. This can be particularly useful in a larger house. • Wireless devices communicate with each other and other devices without the use of connecting wires. • Strobes and vibration pads alert people with a hearing impairment in a fire. Find out more about hearing loss in our guide to how to get the best hearing aid.